Atomic Model Set Euro Design consists of moulded balls of different colours & sizes along with connectors of different sizes. The sizes & shapes of the balls & connecting lugs have been designed in accordance with internationally acceptable standards. 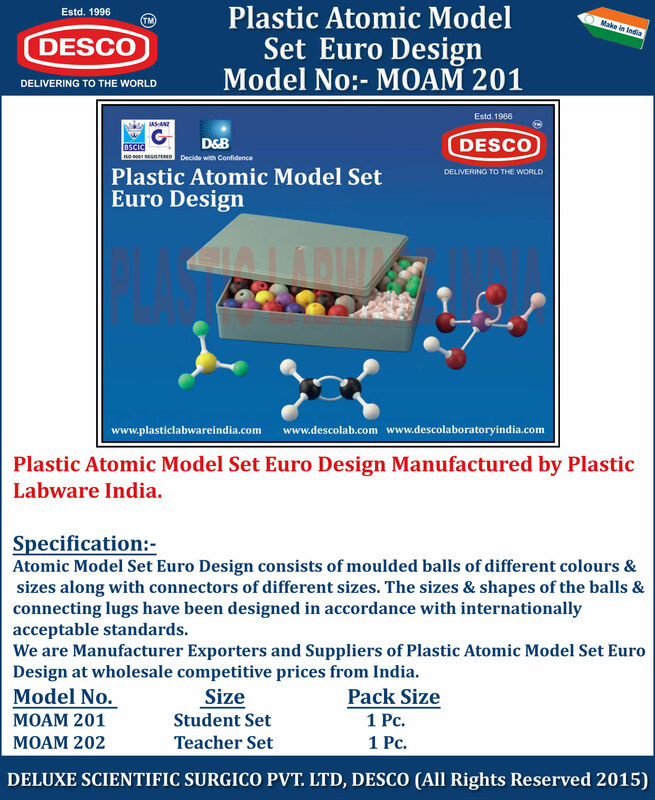 We are Manufacturer Exporters and Suppliers of Plastic Atomic Model Set Euro Design at wholesale competitive prices from India. MOAM 201 Student Set 1 Pc. MOAM 202 Teacher Set 1 Pc.